Wednesday, May 22, departing at 8:00am (7:30am from the subway). Cost: 500 RMB (450 RMB for members); Difficulty Level 4. This walk begins from a small village in the Jiankou area. 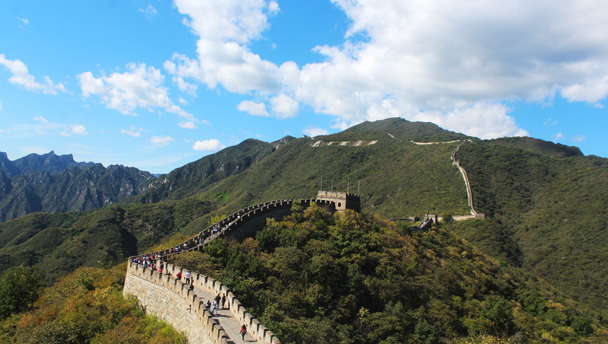 Our local guide has a guesthouse here, and he’s picked a nice spot—Jiankou is home to some of the most dramatic stretches of Great Wall in the Beijing area. 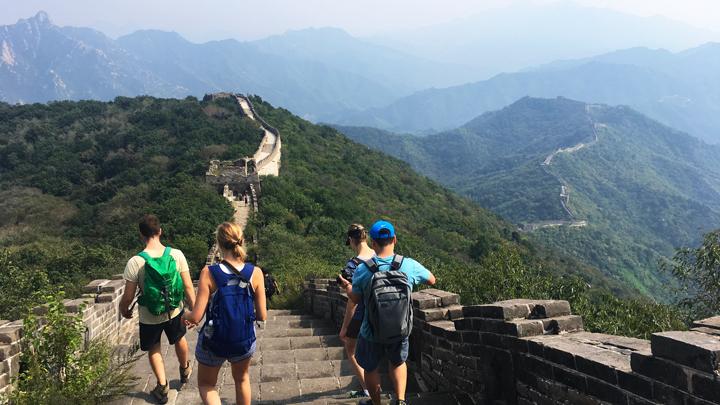 We’ll start off the hike by following a zigzag hillside trail that rises quickly to a Great Wall tower that is almost 1,000 metres above sea level. 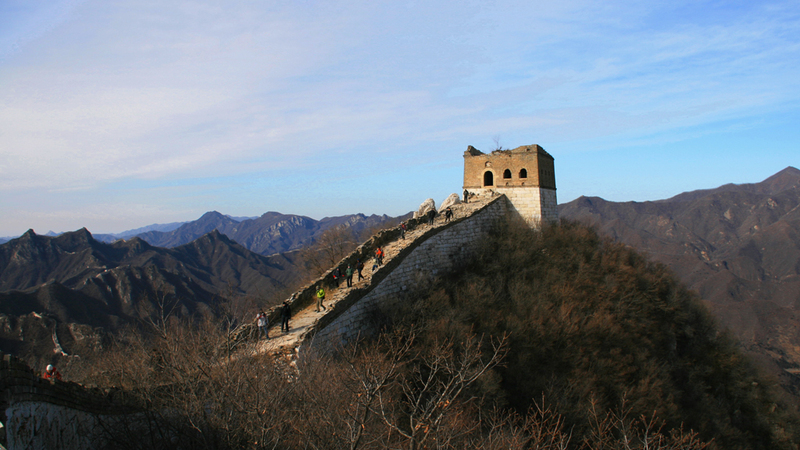 From the tower we can see the Jiankou basin, as well as the many other sections of Great Wall in the area. From there we’ll head east, following the wall towards Mutianyu. 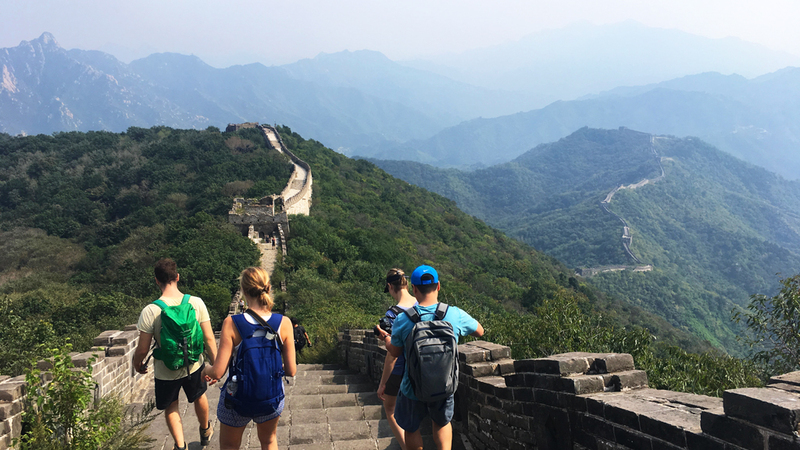 There is some steep climbing, and you’ll need a good head for heights and some balancing skills – at some points the Great Wall is overgrown with bushes, and this will force us to walk along the very edge, quite high above the ground. Along the way we’ll pass through many towers. At one point we’ll have an option – take a forest detour past an old meeting place that would make a very good campsite, or climb up and down a steep broken down section of wall that’s named the Ox-Horn. 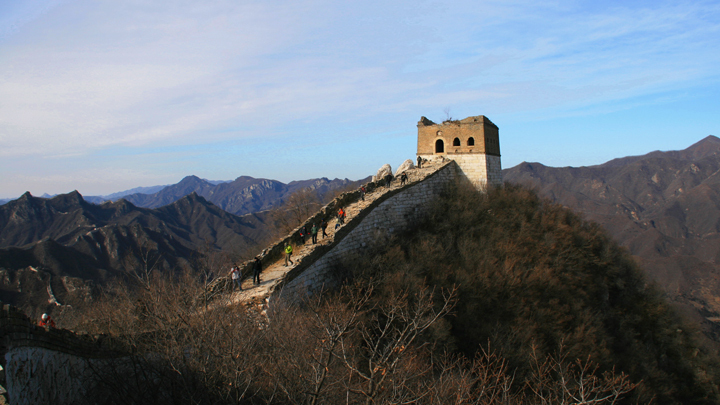 We’ll end up at the northern end of the Mutianyu Great Wall, and cross over on to the restored section. Even though the wall here is restored, it’s still steep, and you may find the long descents tough on the knees. We’ll follow the Mutianyu wall all the way over to the south side, and then head down to the carpark where we’ll find our bus. There are a few choices when it comes to getting down to the park entrance – walk down the hill trail, or buy a ticket for the luge or the cable car and speed down to finish that way. From the carpark we’ll ride the new park shuttle buses down to the main carpark, and then it’s a short drive to the restaurant where we’ll have a delicious lunch before heading back to the city. It’s a long climb up to the wall, and it gets steeper as you go. There’s a lot of downhill while on the wall, which may give you sore knees if you’re not used to long hikes.